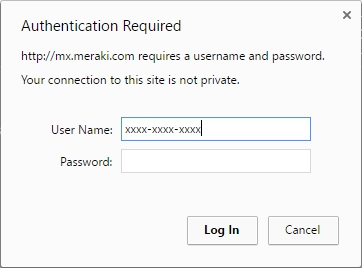 Learn how to program a static IP setup into Meraki MX64 security appliances. Static IP is set up on-site using a computer connected via Ethernet to your SmartSecurity MX64. Only one IP gateway can be assigned in the MX64. As such, static IPs can be assigned as either a single /30 IP or a single /29 group to get three to five IPs. Growing from one static IP to multiple IPs would require losing the original IP and getting a whole new set of three to five IPs. 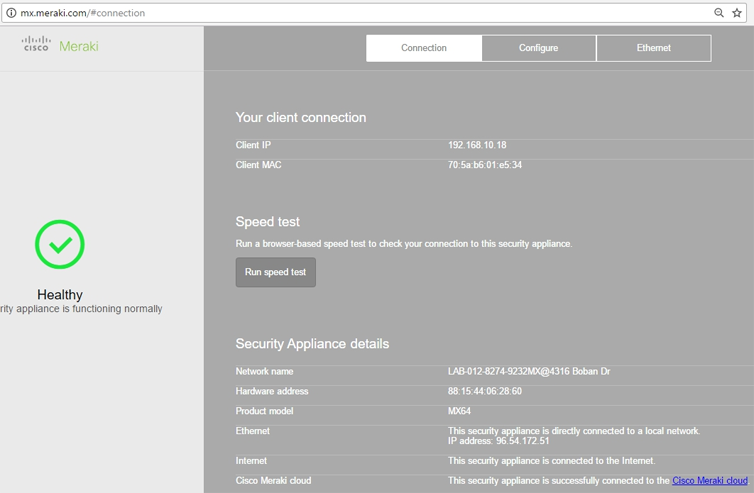 Static IP is set up on-site using a computer connected directly via Ethernet to your SmartSecurity MX64 security appliance. This cannot be done remotely. Connect your laptop via Ethernet direct into the MX64 in any LAN port 1-4 (not WAN). Open setup.meraki.com or mx.meraki.com (both do same thing). Internet connection isn't needed to reach the address as it's accessed from within the MX device. The connection screen will load by default. Select 'Configure', which will prompt for login credentials. User Name: MX serial number (not case sensitive, but does need dashes). 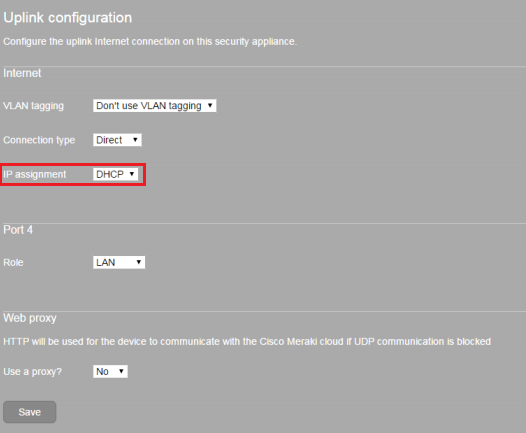 Change 'IP Assignment' drop-down menu to 'Static'. 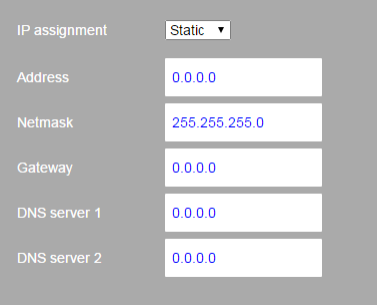 Enter Static IP address, subnet mask, default gateway IP, and DNS server information. 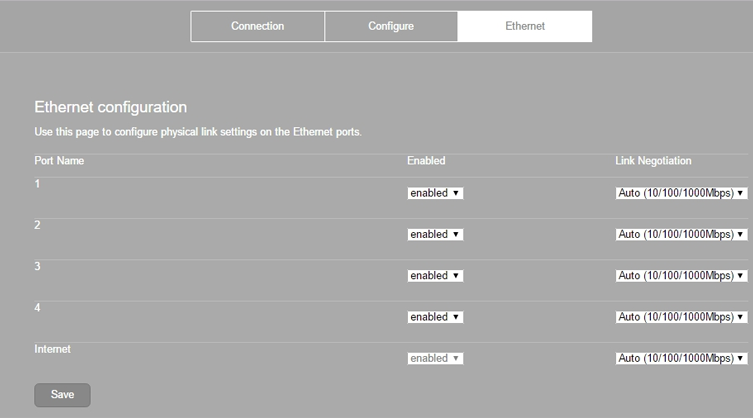 To modify the Ethernet port assignment, select 'Ethernet' (optional). For helpful backup notes, enter the Static IP information into the ' Notes ' section on the MX device in the Meraki Dashboard. Return to ‘ Connection ’ and perform a speed test to confirm connection and strength. If speeds aren't at the full speed provided by your plan, make sure nothing else is running off the modem while you test. If it still seems slow, consult Troubleshooting my slow Business Internet.